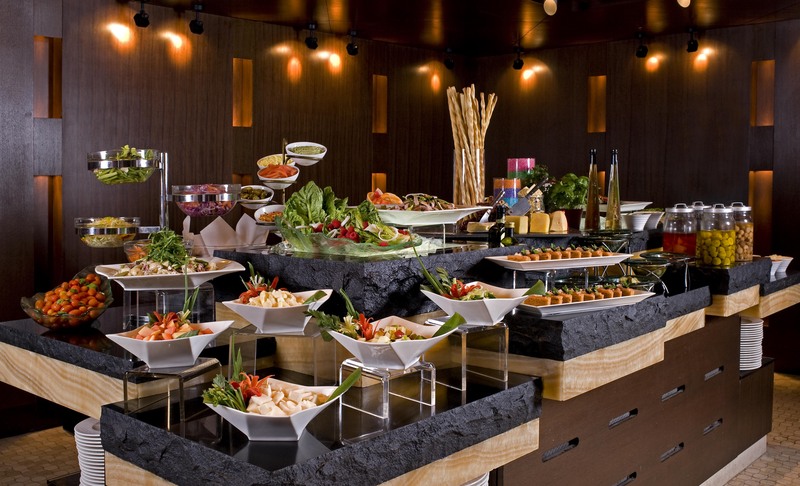 Buffet dining has just gotten more exciting at Essence, Sheraton Imperial KL’s Signature restaurant. 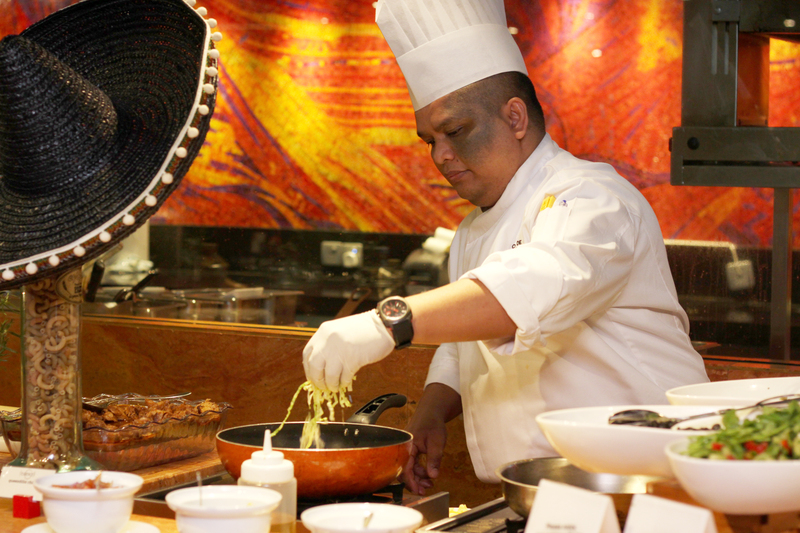 Instead of plonking tonnes of food on bain-marie and call it a day, we can now watch their Chefs in action at the various live cooking stations. 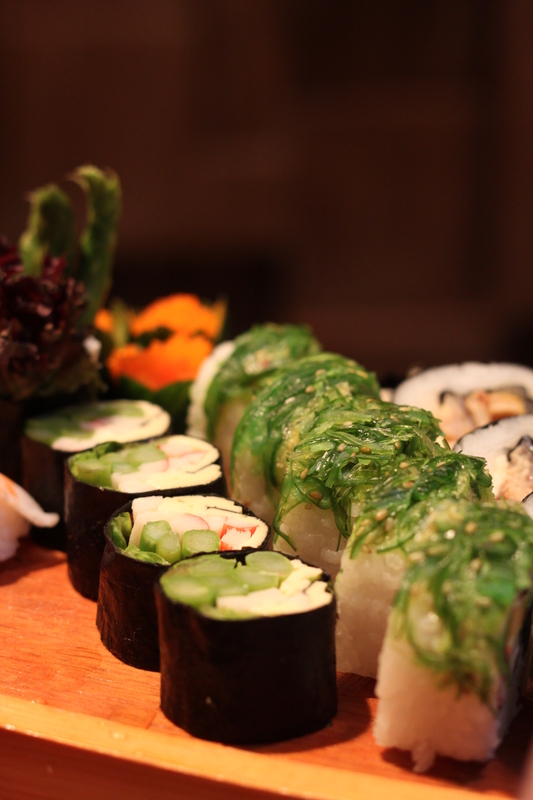 As the saying goes, “we eat with our eyes”, the visual drama and theatrics provides us extra boost of appetite. 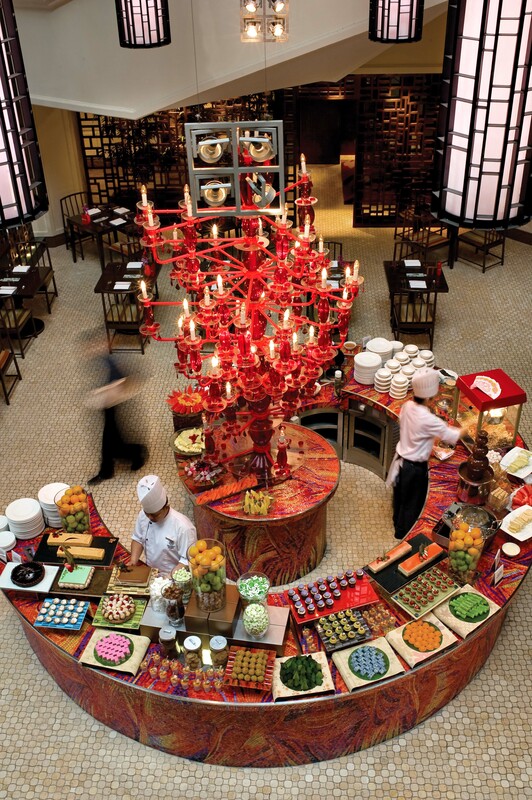 The interior of Essence is warm and inviting with hues of bright colours and a bold hand-laid mosaic wall. 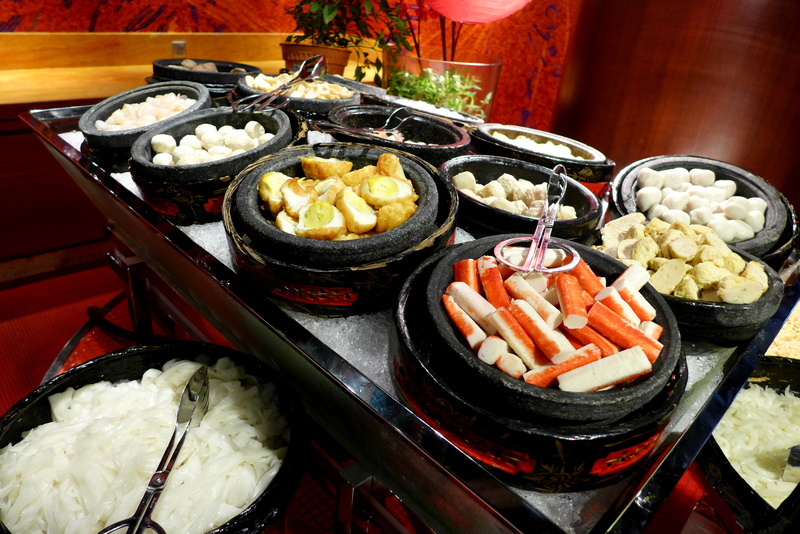 There are over 150 international dishes featuring cuisines from seven countries: Malaysia, India, China, Thailand, Mexico, Japan and Continental Europe, spreading across 9 live cooking stations. The standard salad bar houses many interesting choices. There is also a “salad of the day” which is actually prepared at the table upon request. We had a Caesar Salad that evening, which was lovely, though pretty high in calories with all that rich dressing. 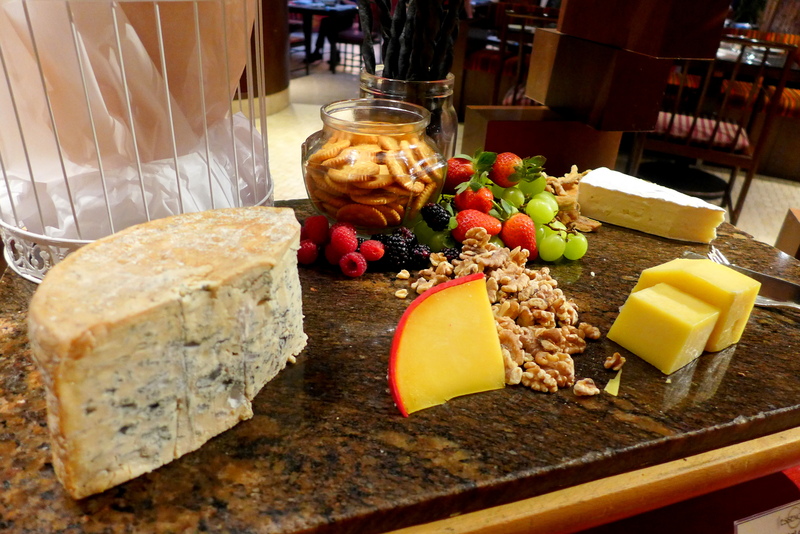 Can’t go to a buffet without sampling cheese. Appreciate the unlimied supply of berries for the antioxidant boost. It’s nice to see a selection of fresh seafood and meat, just choose what we want and the Chef will grill them straightaway for us, ensuring the freshest taste. Some slipper lobsters we chose. 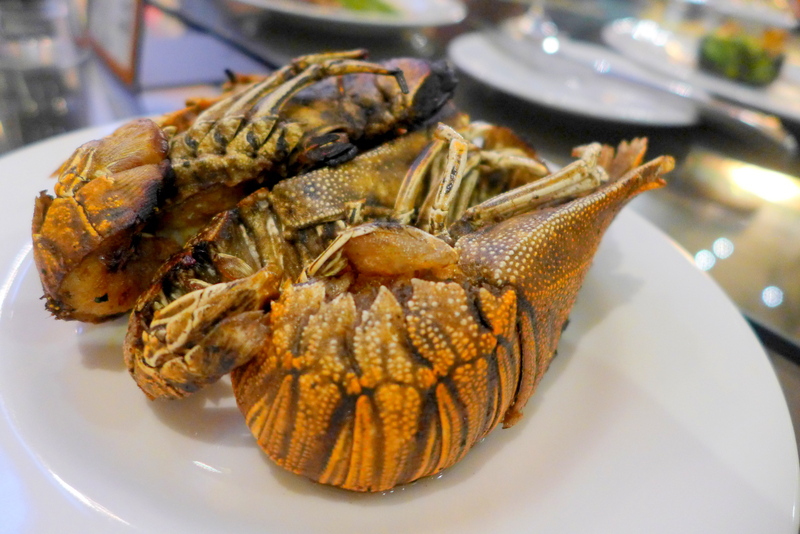 Juicy lobster flesh, fresh enough to eat without any extra condiments. 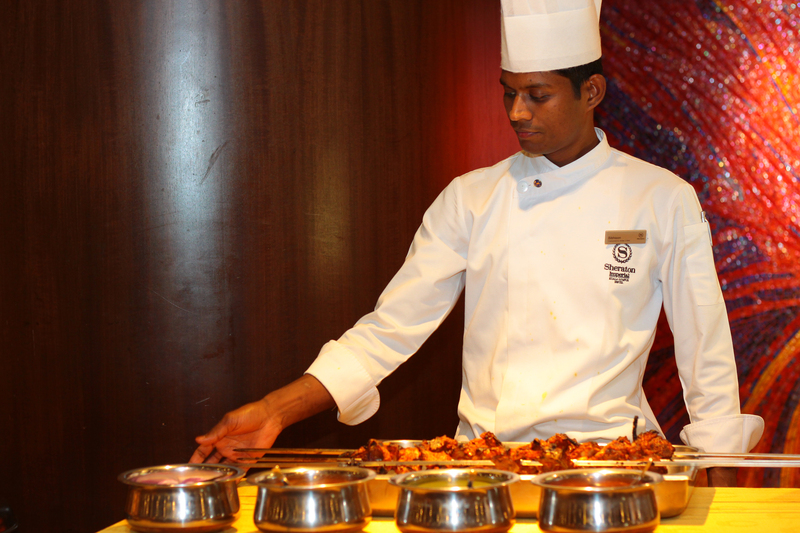 There’s a tandoori station churning out curry dishes such as Kofta Roganjosh as well as a variety of tandoori meat and vegetables. If the cheesy broccoli is available, make sure to make a bee line for it. 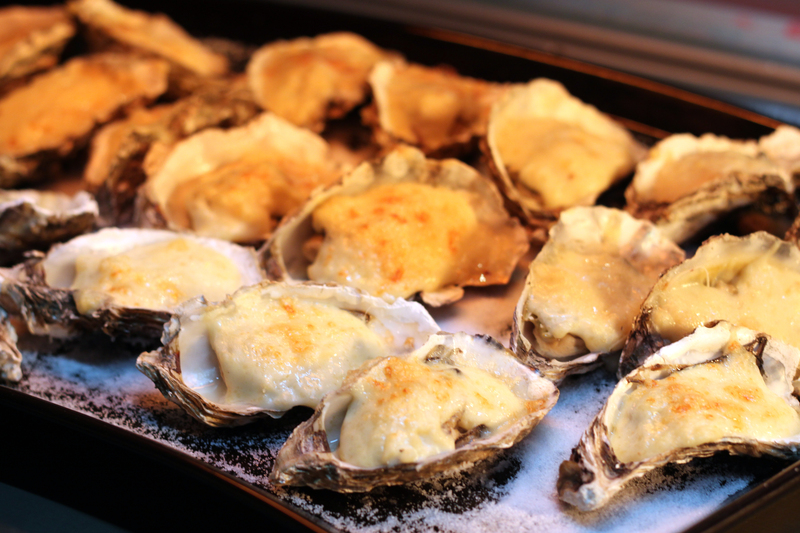 Raw oysters are not available, but they offers baked oysters in different interesting flavours, such as Tom Yam. My favourite would be the classic Rockafella. Pick your condiments and your noodles, then match with your selection of broth. There’s even a Sarawak Laksa broth. 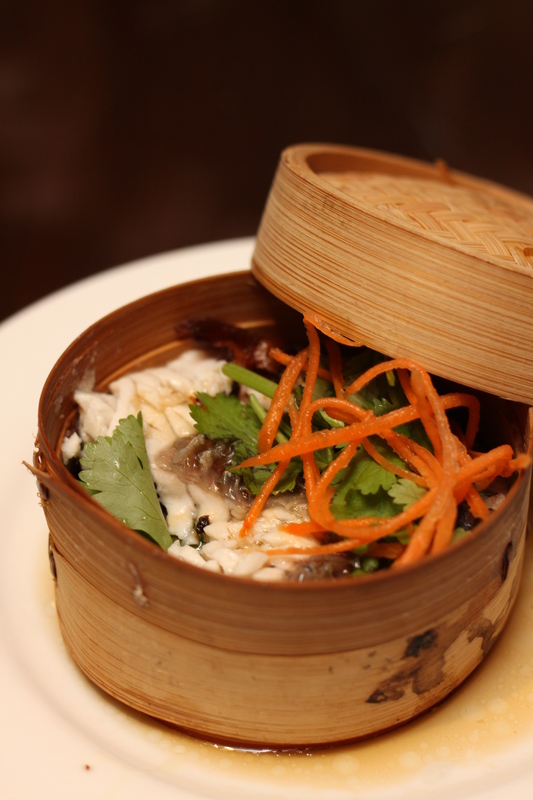 The Chinese cooking station features a selection of noodles, as well as a very attractive looking Sea Bass, to be steamed upon request. 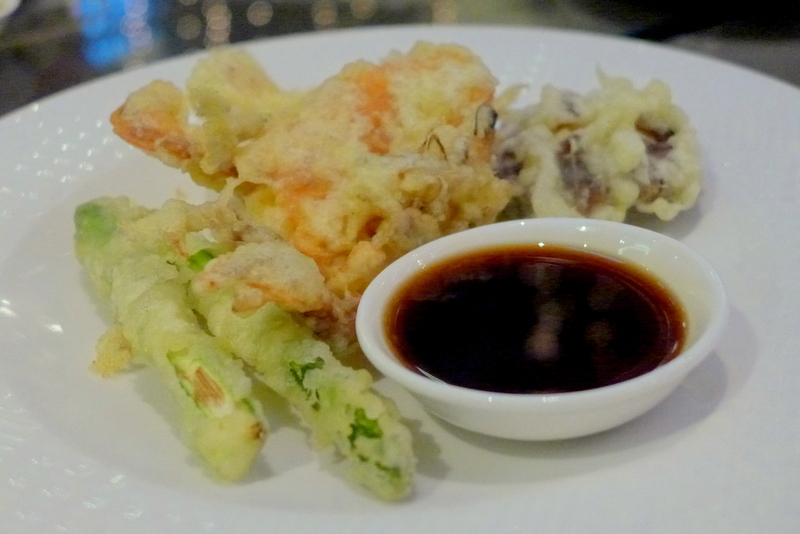 I think my favourite would have to be the Japanese station, where we can select from assorted sashimi and sushi, teppanyaki and even fresh ingredients for tempura to be cooked on the spot. 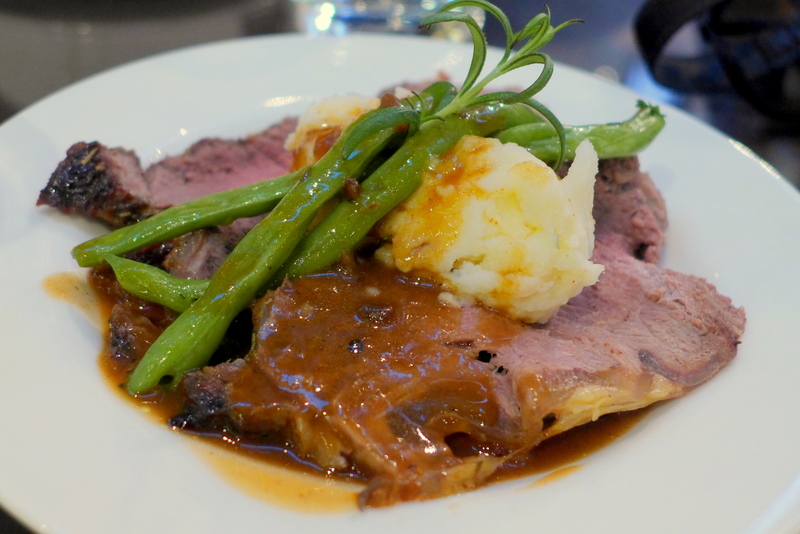 Every buffet has a carvery station and we got to enjoy some lovely roast beef. It’s rare to see Mexican food at a Buffet, something a little different. Choose between the classic dishes such as Quesadillas, Tacos and even Tostada, and they will make their journey from the live cooking station to the table. 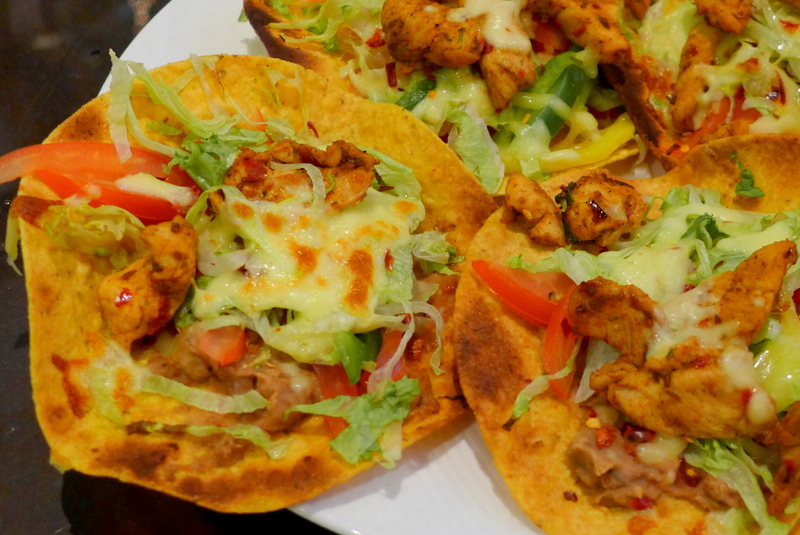 A giant serving of Tostada was sent to our table, love the vibrant colours and well-seasoned chicken. Check out the decadent spiral, featuring local and western desserts, there’s something for everyone. 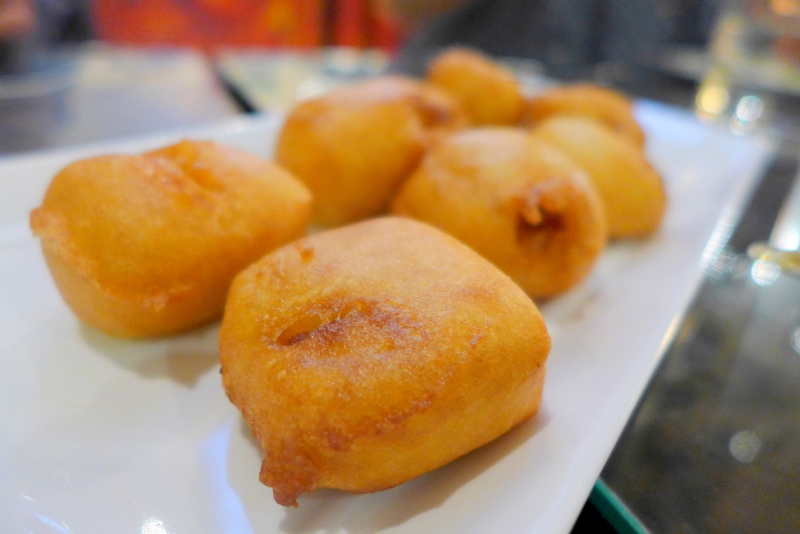 Chef’s specialty includes these very intimidating Durian Puffs, only the brave souls can tackle. Durian lovers enjoyed this and I took a bite too, confirming that it is indeed good quality durian, but luckily that was my last few minutes of social interaction, the aroma lingers. 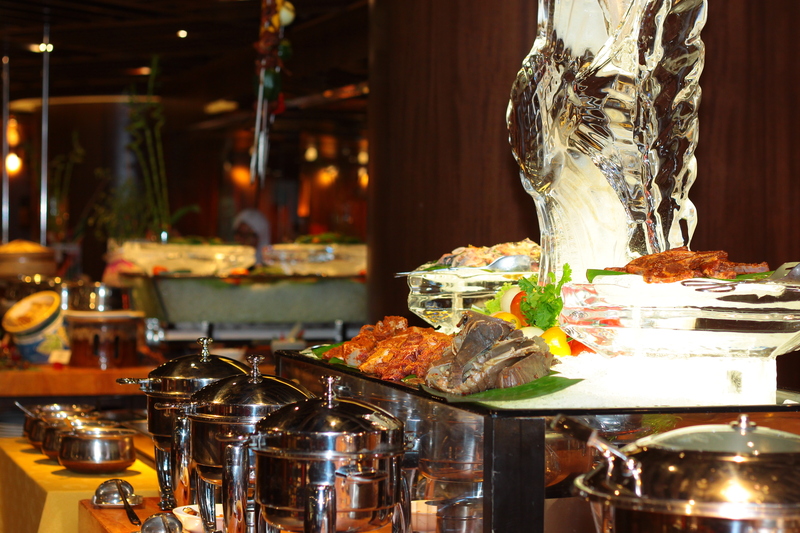 This delicious buffet dinner spread is priced at RM98++ per person (food only) and RM138++ per person for those who would like to enjoy limitless house wine. 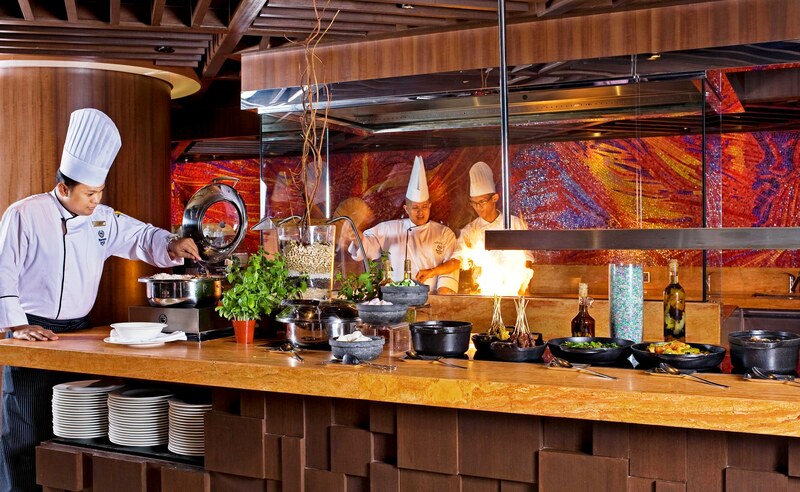 Meanwhile, each Starwood SPG member can enjoy 30% discount off total food bill at Essence. What’s more, SPG members can enjoy 50% discount off total food bill for 2 diners; 33% for 3 diners; 25% for 4 diners; 20% for 5 diners and more. This promotion is valid till 31 March 2014. Terms and conditions apply. Remarkable! Its in fact awesome article, I have got much clear idea on the topic of from this post.